On a diametrically dark and light edition of After Hours AM/The Criminal Code — True Crime Wednesdays with hosts Joel Sturgis, Eric Olsen, and secret weapon, forensic psychologist Dr. Clarissa Cole — we delve into the worlds of real life super heroes and serial killers with author/journalist Nadia Fezzani, who has written extensively and insightfully about both respectively in her books Real Life Super Heroes and Through the Eyes of Serial Killers. We speak with Nadia at 10pE; at 9pE Clarissa guides us through the week’s top True Crime stories. 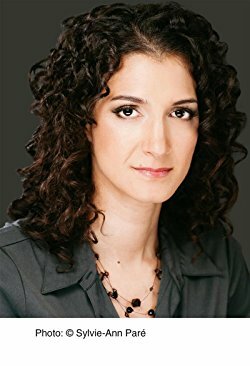 Nadia Fezzani is an acclaimed Canadian author and journalist well known for her research and insight into serial killers, as well as many other topics. While writing her book Through the Eyes of Serial Killers: Interviews with Seven Murderers, Nadia worked closely with law enforcement, attorneys, and the murders themselves. She spent four years conducting groundbreaking, uncensored interviews with multiple-murderers behind bars in search of answers to unsettling questions: What went on in their heads as they prepared for their next crime? What drove them to murder not once, but habitually? Were they born killers, or had they begun as normal individuals and been somehow transformed into predators? The account she pieces together from interviews, psychological research, criminal profiling, and genetic studies is as unsettling as it is revealing. Scars of abuse and cold-blooded logic emerge as Fezzani dissects serial killers’ personalities in a quest to understand those who have committed unthinkable crimes. Nadia became well known in Europe for interviewing American serial killer Richard Cottingham for French documentary Enquêtes et revelations, and she is also known for appearing in November 84, a docudrama about the disappearance of children. After lengthy immersion in that topic, she decided to investigate, in a way, the opposite of serial killer depravity. 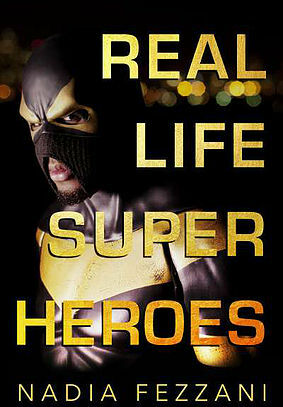 In Nadia’s new book, Real Life Super Heroes, she dives into the underground world of real life superheroes. While they may wear costumes and shield their true identities, their jobs are anything but make-believe! Fezzani sets out in search of the secret lives of men and women who put themselves in harm’s way to protect their fellow human beings. Through interviews and patrols with these “heroes,” she discovers what motivates them and what they hope to achieve through dangerous and sometimes illegal activity. After facing gunmen and other dangers on patrol, Fezzani has crafted a psychologically fascinating look at Real Life Super Heroes and their world. Nadia mentors young adults and gives conferences about serial killers, real life superheroes, as well as how to improve one’s life and achieve goals. Nadia has also interviewed famous athletes and musicians. She currently works as a freelance writer and enjoys traveling, discovering new cultures, and going to rock concerts.